It’s been an interesting year for J.W. 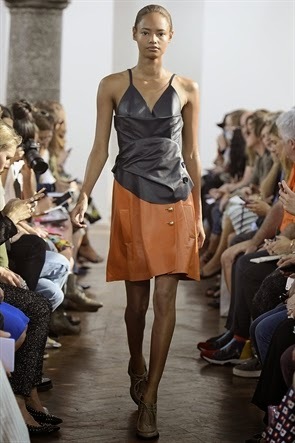 Anderson, after joining the LVMH fold and taking the helm at Loewe. I was keen to see the effect, if any, that these developments have had on the direction for his own eponymous label. 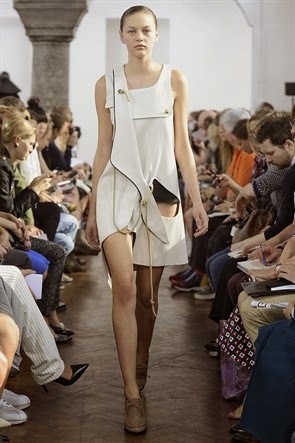 The result is beautiful, strong and refined, possibly one of his strongest collections to date. 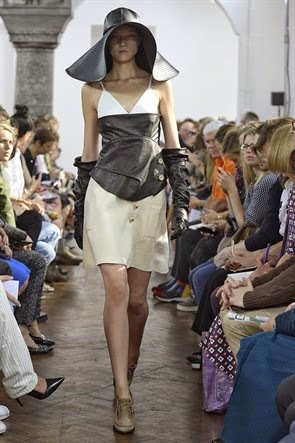 Inspired by surrealism, workwear, psychedelic and suspended architecture, the collection featured huge floppy leather hats, wallpaper-like dresses, layering and towelling jackets. 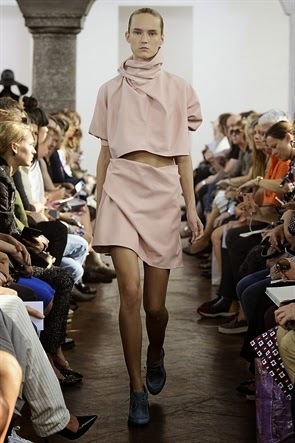 Still slightly austere and industrial, the collection also featured flashes of femininity with a sprinkling of blush and baby pink tones. Bravo.